Chocolates are the best way to express your emotions. The magnetize essence of plain chocolate cake attracts you to buy it. This brown colored cake can never go wrong with anyone. It has a simple and delicate flavor. It is a perfect gift for a chocolate lover. You can surprise your loved one with this cake. The plain chocolate cake is one of the most demanded cakes available in hundreds of different shapes, sizes, and varieties. It is prepared by using chocolate and other ingredients. It is originated in the year 1764 when Dr. James Baker invented how to make chocolate by crushing cocoa beans between two heavy circular stones. Chocolate cake can be given in any occasion like wedding, anniversary, birthday, a conversation, baby shower etc. You can gift chocolate cake to your family members, paramour, relatives, friends, and colleagues. It looks simple but has a yummy taste. The best cake which can be presented to anyone is the chocolate cake. If you are a big fan of chocolates, then Winni is the platform which offers you the entire collection of Chocolate flavored cakes with or without egg. Being yummy in taste it requires only a few ingredients like butter, cocoa, sugar, flour, baking powder, and soda. With these few ingredients, this cake is prepared and gives sweeten taste to our taste bud. Surprise your loved ones by ordering a plain chocolate cake. Chocolates are the best way to express your emotions. 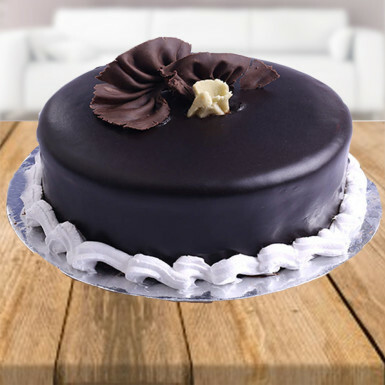 So express your emotion with online cake delivery and send your love to your beloved one.